Rotomolding design is a process that involves designing a part or product and a mold or tool to manufacture those products. 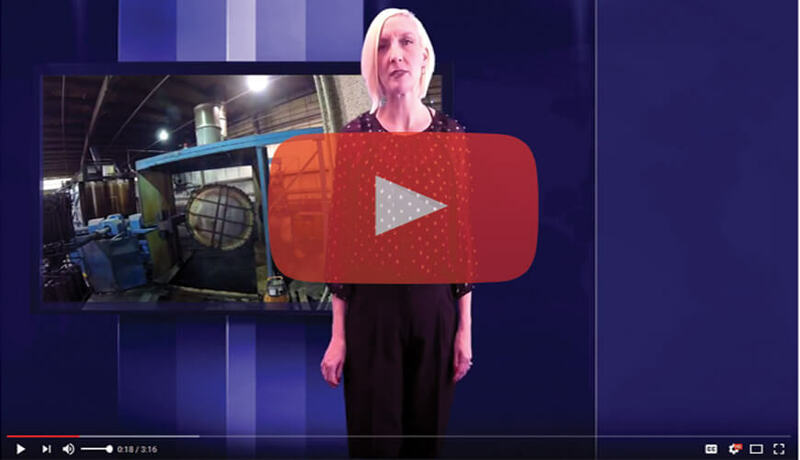 It is ideal to involve an engineer or staff who understand the principles and nuances of the rotational molding process in effort to make the design process as efficient as possible. The rotomolding process is known for its ability to produce durable hollow and double wall parts, contingent upon the mold design. Rotational Molding will allow for a variety of special features to be incorporated into the design or the products. Some of these special features include molded-in threaded inserts and fittings, molded in aluminum features such as extrusions, fittings and even molded-in carbon or stainless steel components such as tubing, stainless steel bushings and more. Due to the lack of stress involved in the manufacturing process, the rotomoulding process produces wildly durable products and components. When the proper materials are utilized for production, such as certified prime virgin materials, the parts can be engineered to be be impervious to the mother nature's elements and harshest conditions. Because of the versatility of the design capabilities and the special features that can be incorporated into a rotational molding design, rotomolding can provide a molded solution for a plethora of industries. Rotational Molding allows for shapes or features of the design that seamless blend. Curves and transitions are accomplished in the design process, allowing rotationally molded products to have nice geometric shape that enhance the products beauty and aesthetics while adding durability. Ribs and kiss offs may be added to the design to increase strength and rigidity while angles and shapes can be added to the part for further enhancement of strength. Many rotationally molded products incorporate foam filling to add strength and insulating capabilities to the parts. 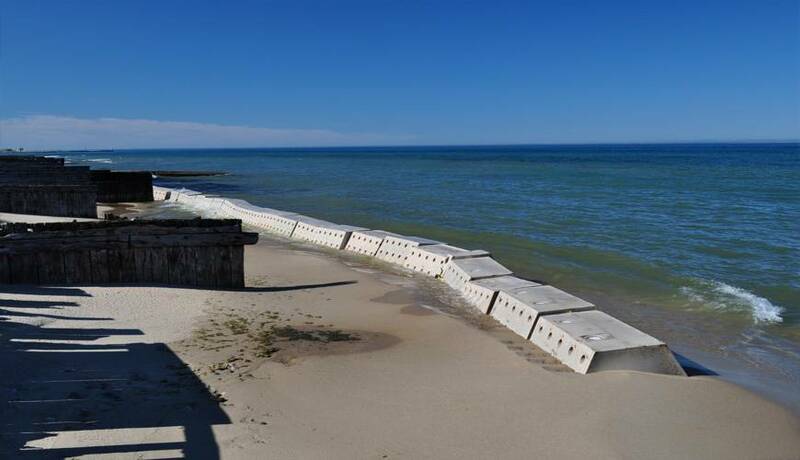 Foam filled products require a double wall design to contain the injected urethane foam between the walls. 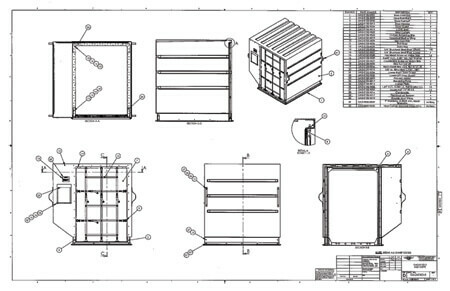 Many people are familiar with foam filled rotationally molded products such as rotomolded coolers, spine boards and floats, however a growing variety of other products feature injected foam filling as well, including pallets, material handling trays, tornado shelters, doors and more. Additional features such as spin weld fittings, bulk head fittings, mold in graphics and even post mold graphics are additional features that can be incorporated into a product design. Take all design features into consideration as the design is being worked on or completed. This will potentially eliminate the need to have the tooling modified once the molds are completed, increasing costs and delaying production. Once the design for the rotationally molded product is complete and signed off on, the next step is to make a mold for rotational molding manufacturing. Most molds for rotational molding are either cast or fabricated from aluminum, steel or even stainless steel. Some molds are even machined in effort to speed up the manufacturing process in some instances. 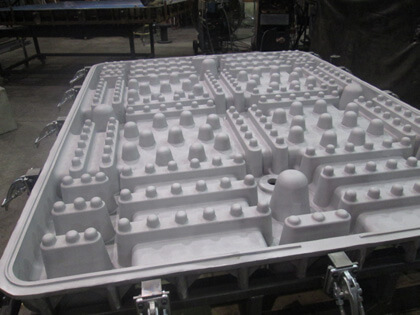 Molds for rotomolding can be designed to house multiple chambers or cavities, thus producing multiple parts in a single round. How well the mold is designed and the quality focus of the mold construction will greatly dictate the quality of the part produced from the mold. While mold modifications are relatively common to the rotomolding industry, they should be minimized when possible as certain types of molds or tooling do not handle some modifications very well, such as cast molds or tooling. Mold modifications can occur in instances such as design improvements, component changes, shrinkage adjustments and more. Working with a knowledgeable rotational molding professional or rotomolding company should give you an advantage over over your competitors, as they should be able to intelligently discuss your projects requirements and features while providing details as to what is possible of being accomplished and how the product will function as a rotationally molded part. Experienced rotomolding experts can walk a new client through the entire process from concept, design idea, necessary design changes, mold fabrication, rotomolding process, trim & assembly, packaging and even future inventory scenarios. The ideal situation for most clients is to have as many of these elements as possible in a single location. A number of commonly experienced design issues can be revealed during the initial design discussions. With some direction or education, several of these issues can be avoided, which may cause manufacturing or quality issues in production later. 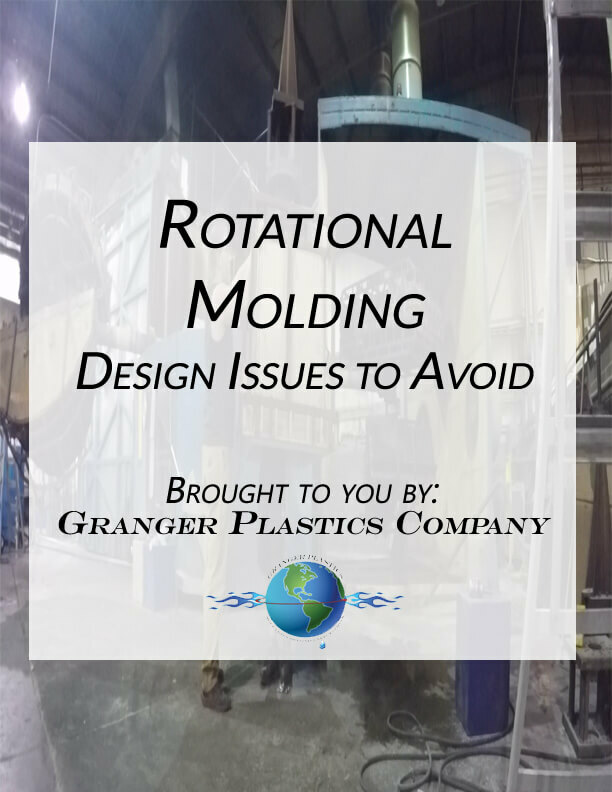 Continue reading on to learn how to avoid some commonly experienced design issues that could plague your rotational molding design. Flat walls are one of the most common issues that plague a rotationally molded product design. 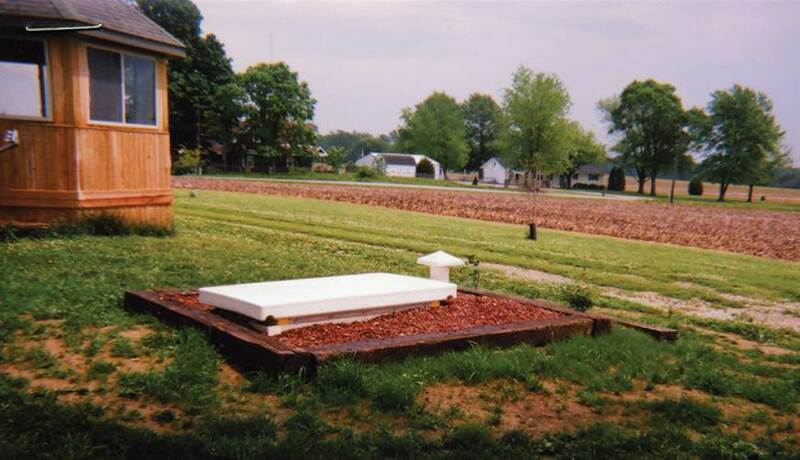 Long or large flat surfaces are difficult to achieve via the rotomolding process. Typically the rotational molding process is trying to form a hollow vessel, the parts typically have little to no internal structure. Experienced rotomolding professionals will know to avoid the large flat surfaces, trying to break up the large flat areas by incorporating some structure or geometry to the product. This is often achieved by adding ribs, kiss offs, even a crown or corporate logo to the surface. Industry tolerances of the rotomoulding process are standard at 1%. Some molders can hold tighter tolerances than this through a multitude of ways. Shrinkage, warpage, cooling and various environmental factors are all variables that have influence on the final molded product, these all need to be taken into consideration initially during the rotational molding design phase. The industry standards for flatness of a rotomolded product is ±.20" per inch. In conjunction with the other previously mentioned variables, this could be further increased. One of the vast differences of the rotational moulding process is that the raw materials are pulverized to powder, where as many other plastics molding processes use pellets or film. During the cook cycle part of the process, the air that is captured between the polymer particles is being heated in effort to "cook out" all of the air. 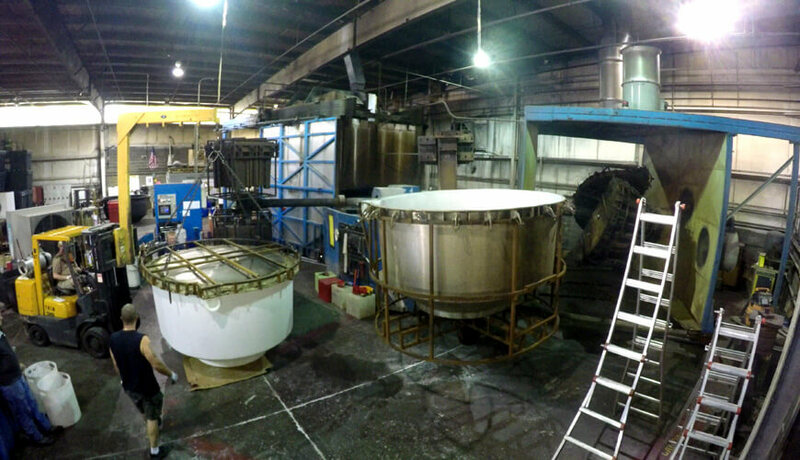 Because of the rotation and the powder materials, getting the material to flow properly in the mold is a crucial step in the rotomolding process. Material that bridges between wall surfaces is an issue that is commonly experienced in production. While it should be readily discovered in the design process, novice engineers or rotomolders can sometimes miss or underestimate the physical properties of the material to "bridge" or "web" between wall surfaces, not allowing the material to flow through the mold. The restriction of the material flow will create voids in other areas of the rotomolded product. A general guide to avoiding material flow issues is for a minimum of 5x (times) the wall thickness between any walls, ribs or surfaces in the product in effort to avoid material flow problems. As with most plastics molding processes, sharp corners are a production issue for the rotational molding process. Sharp corners should be avoided when possible during the inti al rotational molding design stages when designing a product. Sharp edges minimize the ability of the materials to flow throughout the mold during the molding process. Due to the lack of ability for the material to flow thru mold effectively will most likely cause voids are other areas in the sharp corners to not fill in properly where the material could not lay down of flow properly through the mold. Sharp edges also tend to create stress risers in the product, developing an area capable of failure or fatigue. Because of the necessary design to create a sharp corner in a rotationally molded product, sharp corners typically will create a heat sink, an area that collects more heat in than other areas of the tool or mold, thus building up thicker areas of wall thickness with thin inside corners. The generally accepted work around for sharp edges in a rotomolded product is to add a radius to a corner. This will enhance the final quality of the rotational molding design, while making the part aesthetically appealing. An outside radius should be no less than .125" and should be as large as possible. The inside corners of a corner should never be less than the nominal wall thickness of the product. A poorly added radius could lead to future product failures. Avoid rotational molding design issues like sharp corners at all costs! Draft angles are a critical component of rotational molding design. The design requirements for draft angles are important to the success of rotomolded products as they are a primary feature to assist in helping to release the parts from the mold as it cools. Geometry, heavy textures and even engraved features such as logos, warning plates or gallon markers could require additional draft angle in comparison to simple geometric shapes such as a block, cube or a cylinder, such as a vertical water tank. Just as a general guide, engraved textures can typically function successfully with as little as 3 degrees of draft angle, while undercuts as well as protruding features may require as much as 5 degrees of draft. The rotational molding design process is critical to ensure that the aesthetics of the final product meets or exceeds the client's expectations. The repeatability of the aesthetics in a rotationally molded designed product should be addressed as the design of the rotational molding project takes place. It is important that the mold or the fixture for each project or product is carefully designed with final aesthetics considered. The expectations of the final aesthetics should always be addressed in the design phase to ensure that all of the details and features are captured to the customers specifications. In conclusion, rotational molding offers far more flexibility in the design of products and components and the necessary molds or tooling that is required for the rotational molding process. As mentioned above, most tooling or molds can be modified after they are produced for changes or improvements that could be made to the products or tooling. Due to the versatility of the rotomolding process, wall thickness changes of final products can be changed by modifying the shot weights of most products by simply adding or removing materials to the pre-existing shot weight without modifying the molds. 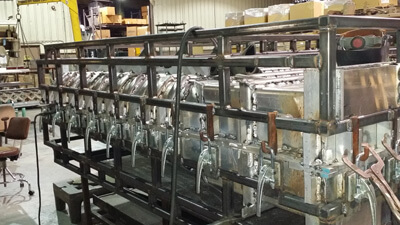 Learn more about Custom Rotomolding! Granger Plastics, a World Class Rotational Molding leader provides rotomolded solutions to a wide variety of industry, ranging from Aerospace, Defense to Water Treatment and virtually everything in between. Granger is your one stop, complete Rotational Molding solutions provider! With leading rotomolding designs, in house metals and mold shop, Granger offers complete turn-key, custom rotational molding services!